Say Marhaba to VAT-ready Zoho Books! 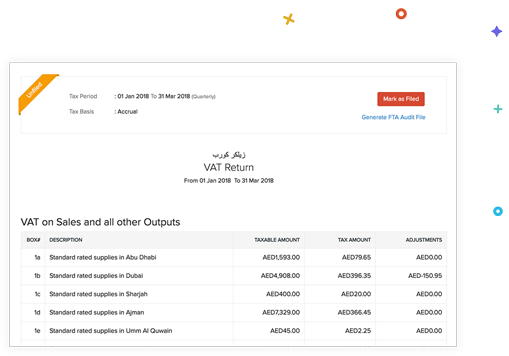 With Zoho Books you can create and complete business transactions, manage your finances, and file your VAT returns in a few clicks. And the best part? It’s 100% VAT compliant! Everything you need to stay VAT compliant. Enter your TRN and user name, then choose your payment gateways. You’re good to go! 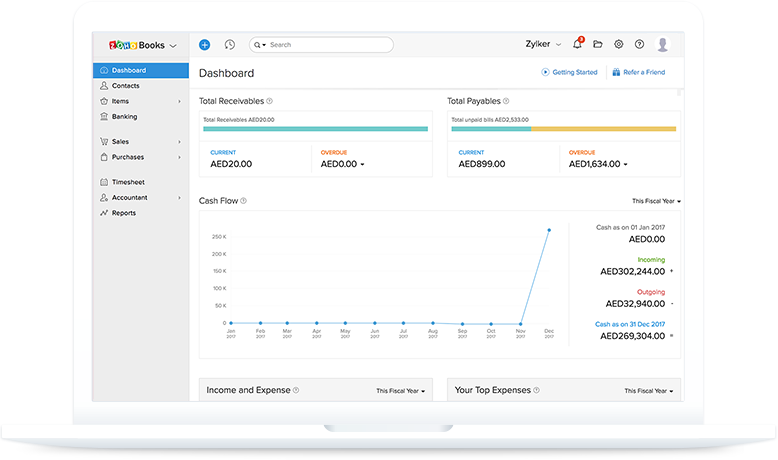 Zoho Books will compile your transactions and help you stay on top of your cashflow. Handling customers from multiple countries? 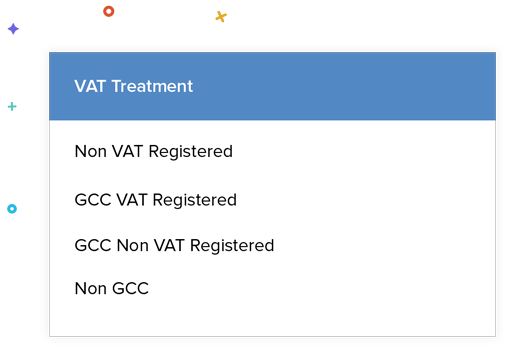 You can use VAT treatments to divide your customers into VAT registered, non-VAT registered and non-GCC entities. 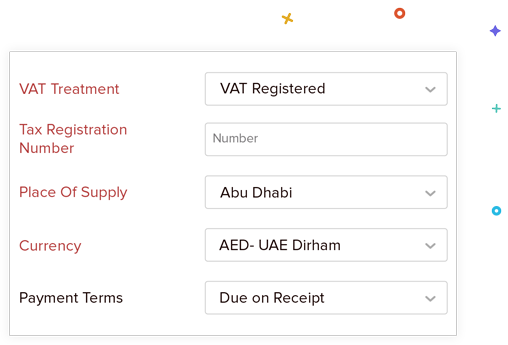 Record the place of supply and select appropriate VAT rates for the goods or services involved in a transaction. 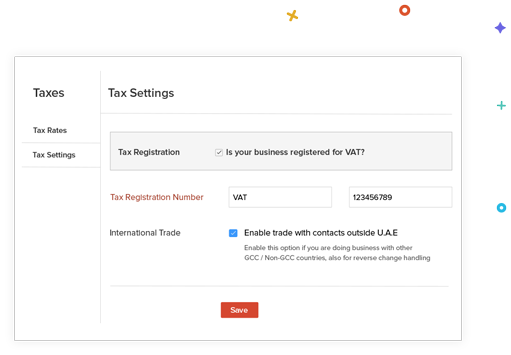 You can also mark goods as excise and services as digital services. 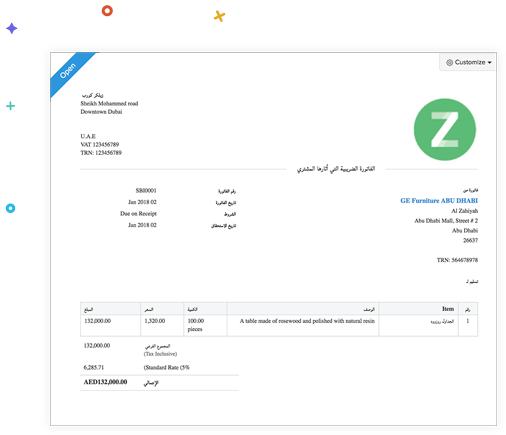 With Zoho Books, you can issue invoices, bills, self-issued invoices, and credit/debit notes that meet all the specifications prescribed by the Federal Tax Authority. You can customise these documents to add a dash of your personal touch. Zoho Books for all your accounting and VAT filing needs. Have questions on the impact of VAT on your business? Send us your questions about VAT and our team of experts will get in touch with you.